Improve Your TIG/GTAW Welding Productivity and Quality, Eliminate Material Waste, and Reduce Costs with a PRO II Cold Wire Feeder. 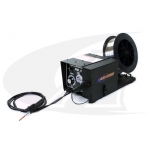 A semi-automatic cold wire-feed machine is a productivity-enhancing tool that's built to improve TIG weld quality and efficiency, lower costs and allow for quick and consistent filler metal verification. Save 20-40% on filler metal costs because spooled-wire is less expensive than individual cut-length rod, and the unused rod end waste is eliminated! 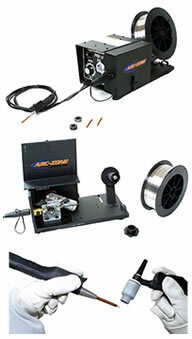 Reduce process variables with continuous spooled-wire which provides quick and consistent filler metal verification eliminating the potential weld quality problems associated with unidentified welding alloys. Three machines to choose form: Based on your TIG welding application and budget we have a machine that can be outfitted to optimize your application.